Explore Australia in your new caravan. We are bad credit experts. We’ve helped thousands get into a caravan with a bad credit history. We understand how unique bad credit caravan loans are, we’ve done over 15,000 of them! At Loans For People With Bad Credit, we provide financing options to Australians for caravans, camper trailers, motorhomes, and RV’s. We provide bad credit caravan finance solutions Australia wide. Give us a call today and find out how easy it is to get finance even with bad credit! Call today! A caravan adventure awaits you – Phone: 1300 769 384 or get a quick loan quote. Why choose us for bad credit caravan loans? If you’re looking to finance either a new or used caravan, camper trailer, or motorhome from a dealer or private sale, we can help. With same day approvals we can get your bad credit finance sorted quick, and get you out shopping for your new home away from home. If you’ve already found your new caravan you probably want fast finance! We will get your finance approved rapidly – we’ve even built an online loan pre-approval application to get things started quicker! We only do bad credit loans – we are good at getting them approved! With Loans For People With Bad Credit, you can get out on the open road sooner. Our caravan finance will set you free of your bad credit history. Did you know that if you have a home loan and bad credit or even slightly impaired credit, getting a second chance caravan loan can he a little difficult. The easier option is to refinance your home loan with one of our bad credit home loans. Get your caravan at a lower interest rate, with less hoops to jump through. A simple phone call to one of our specialist bad credit lending managers will surprise you how quick and easy we can get you pre-approved. We know bad credit loans inside and out meaning we are able to get loans at rates other brokers can’t touch. We offer bad credit caravan loans from 6.69% p.a. If you’re seriously in the market for a caravan, camper trailer, or motorhome then make a smart decision and get in touch today! Fill out our 30 second bad credit loan quote form (its obligation free). Get a bad credit loan pre-approval and then head to a caravan and camping show ready to buy. We will get you on the road sooner and cheaper! Unsure if you should get that new caravan, motorhome or camper trailer? Consider this, holidays can be really expensive and the quality of where you stay can be a big risk. 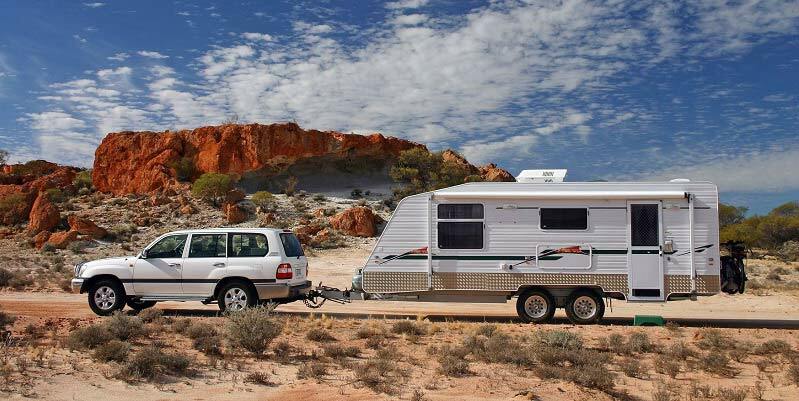 With a caravan or camper trailer your purchase is an asset that you can customise to make as comfortable as your own home, the bonus being you can take it almost anywhere in Australia. For more information about bad credit loans, have a read of our blog posts – start with Are Bad Credit Loans Safe and 4 Tips For Getting Bad Credit Loans. Looking at caravan options and thinking your car might not be suitable to tow your new holiday asset? That’s fine, we also do bad credit car loans. Why not get an upgrade to a new four wheel drive that will tow your caravan with ease? Our bad credit lending managers have spent years learning the ins and out of bad credit loans. We have over 30 years’ experience in bad credit caravan loans, we can help you today. As we are a bad credit loan specialist, we have a range of finance options for all types of finance. Check out our other bad credit loans.